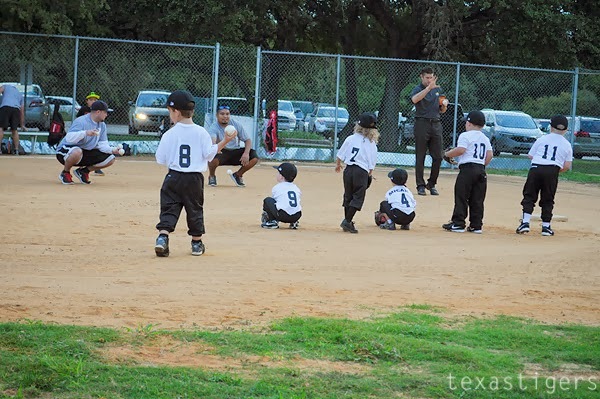 They started with fielding to warm up. With all teams at the Y, they start with the players and then the coaches saying a pledge. During soccer the parents said it as well but they didn't call for the parents during tee-ball. 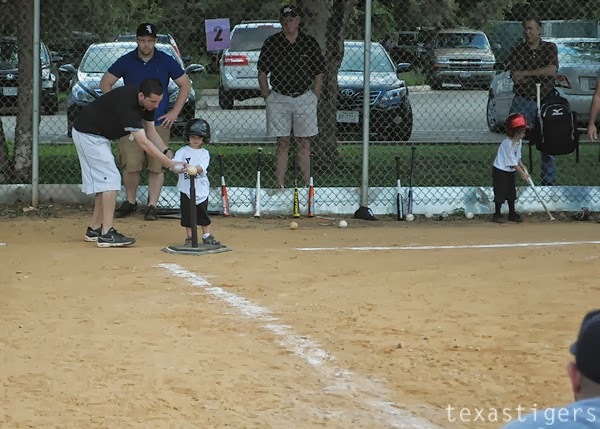 Micah's team was up to bat first and they all got to bat around and run all the bases. Everyone scores. Then they switch and everyone fields. 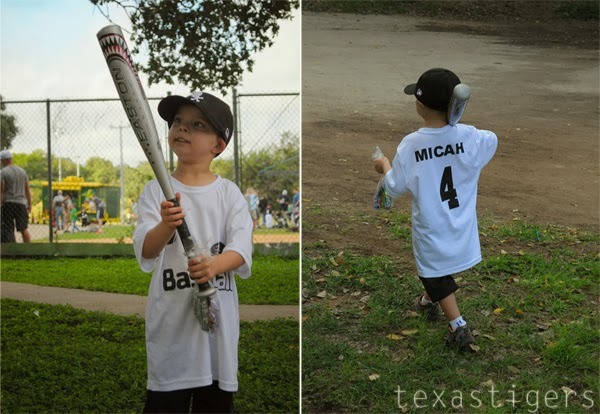 Micah had to be encouraged to field half the time. 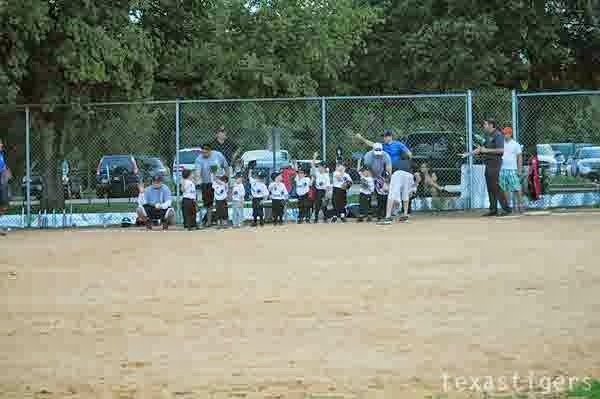 He wouldn't run after the ball until the other players had started to already and was discouraged he didn't 'catch' the ball. According to him, he "got sleepy" when they were fielding. It could be he was sleepy as they were up late the night before at the Y for parents night out, or he could have meant bored. Everyone went home a winner, with a yummy bag of treats for 'snack.' On the way out he said he loved it and had fun! I'd call it a success. I think Daddy really enjoyed it as well. 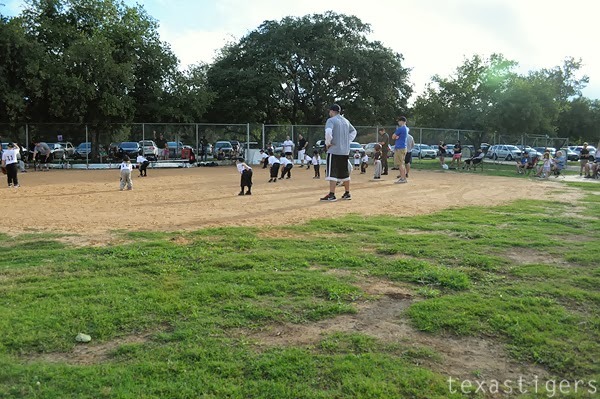 I'm looking forward to many more weekends at the ballpark. Soooo cute!! 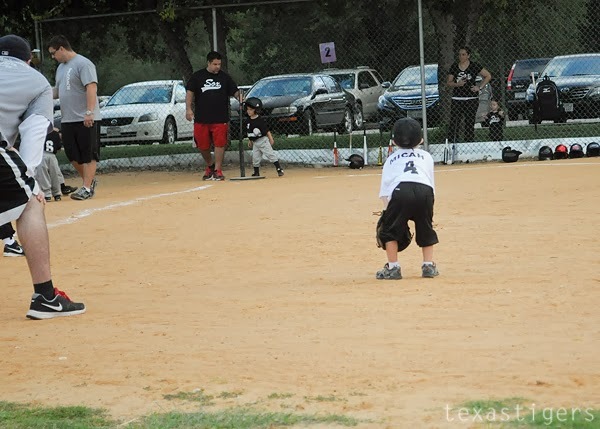 I think little boys are adorable in t-ball uniforms.